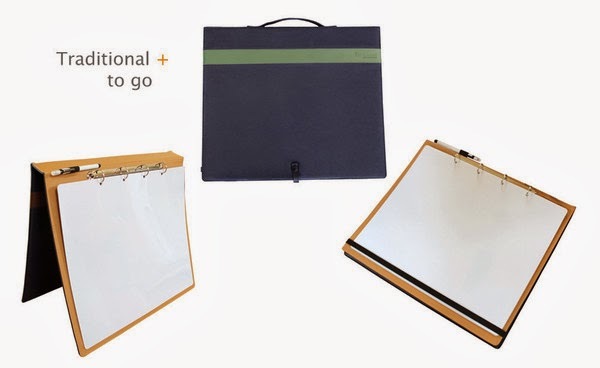 The Yellin Center Blog: Whiteboards, Reinvented! There’s something magical about whiteboards. Give a reluctant student a pencil and pad and he’ll groan. Give him a portable whiteboard and a marker and his eyes will light up. Students who dislike spelling will generally write long lists of words without complaint on a white board. Long division woes? Write the problem on a whiteboard and watch a student chomp at the bit to get at it. Maybe it’s the novelty. Maybe it’s the colored markers and the sharp, crisp lines they create. Maybe it’s the knowledge that mistakes will disappear with the swipe of a finger. Whatever the reason, there’s no denying that the power of a whiteboard belies its simplicity. White boards aren’t exactly convenient, though. A student can’t draw up a master plan, then toss the board into a backpack and expect the lines to remain when she takes it out again. And tutors who want to use a whiteboard may need to spend lots of time setting up sample math problems or sentences, which must then be carefully protected so that they don’t rub off before they can be worked on. favorite comic! The whole thing is encased in an attractive cover that will either close over the sheets to protect them or prop up the board to share ideas with others. weekly. For example, a student with lots of responsibilities during rushed mornings could place a checklist in the pocket, then check off items as he completes them each day (e.g. wash breakfast dish, feed the dog, collect sports equipment, etc.). It could also house a blank weekly calendar onto which a he could record assignments, due dates, and other important information. 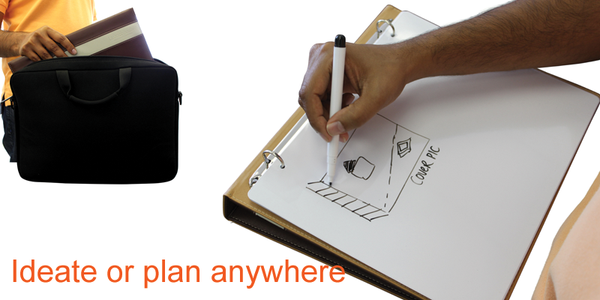 In short, Whiteboard Reinvented is a wonderfully innovative company whose products may be just what you need to inspire similar creativity in the students in your life. Love The Giver? Read the Rest of the Quartet!